We really love discounts right? Process to get a coupon is simple. 2. 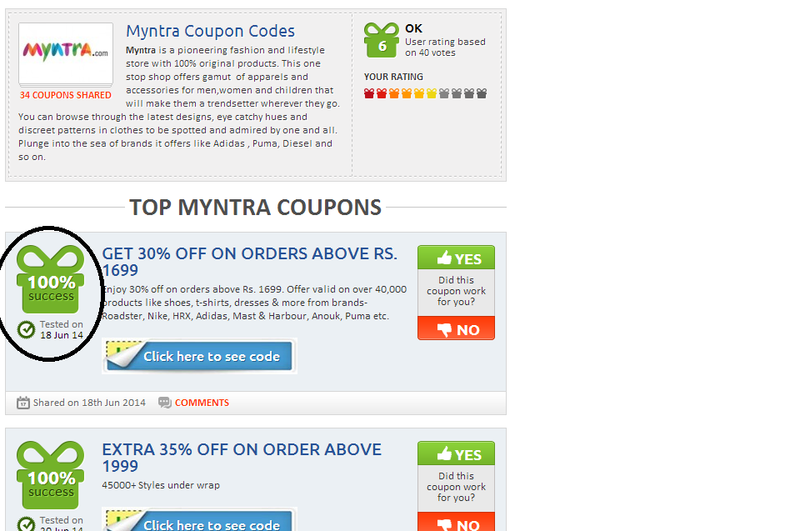 Get coupon codes from search results. Each search result will show success rate and user rating through votes so that we can choose only most successful result. 3. 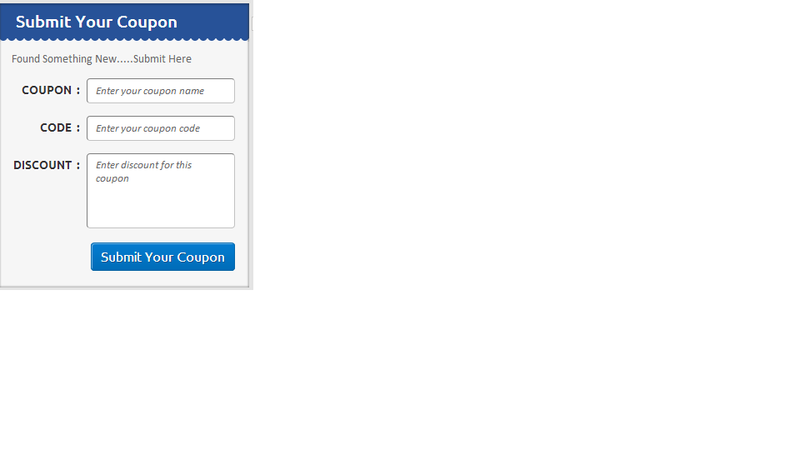 Click on 'Click here to see the code', it will redirect to vendor site by copying the coupon code. Paste the coupon code on vendor site to get the benefit. 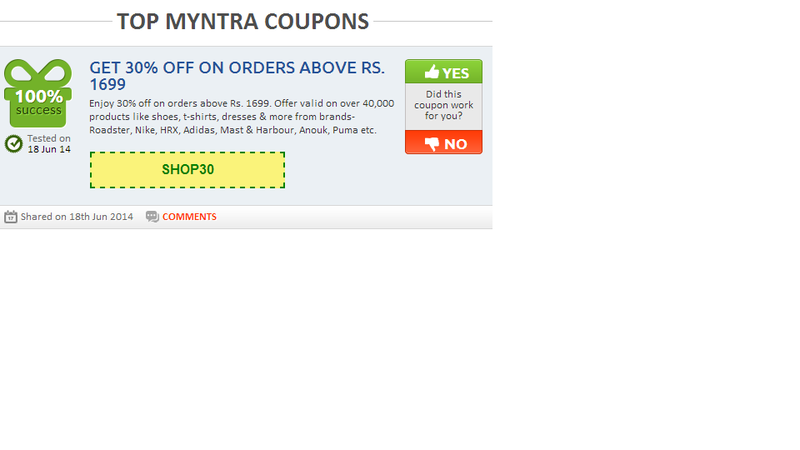 There is also an option to submit coupons. What i liked in the site? Overall, i would rate it 4/5. 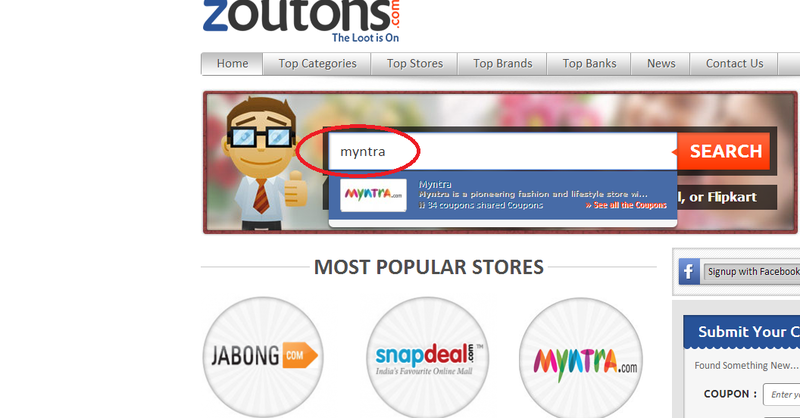 One quick link to latest coupons of Myntra.com here, if you also love to explore this site.